Ice Cube is dropping brand new music on June 9th for the re-release of his sophomore album, Death Certificate: 25th Anniversary Edition. Read more after the jump. UPDATE: Pre-Order the album here. Interscope Records is pleased to announce the recent signing of West Coast rap icon, Ice Cube. Known to be one of the most important figures in rap history, Ice Cube began his career with the Notorious West Coast Gangsta Rap Group N.W.A over two decades ago. 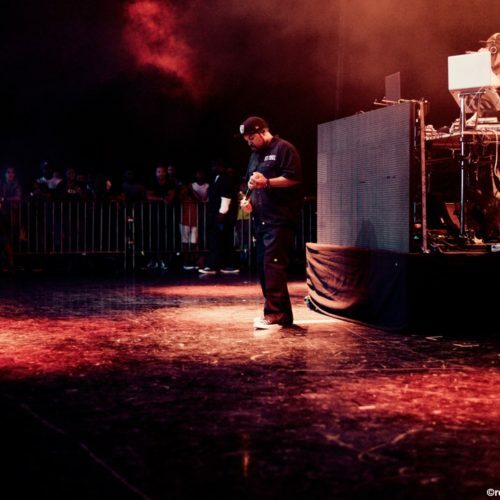 At the height of the group’s success, Ice Cube broke away to start his own solo career. With over 10 million albums sold to date, Cube joins the label after several years of releasing music independently on his own Lench Mob Records which includes his Gold Certified 2006 opus “Laugh Now, Cry Later,” the highest selling independent hip hop release of the year. 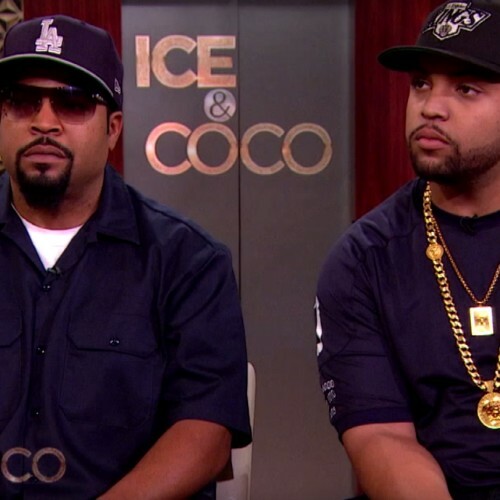 “We are thrilled to announce that Ice Cube has joined the Interscope family. He’s obviously one of the legendary figures in hip-hop…that’s a massive statement on its own, but he’s so much more than that. Cube has an incredible body of work, and as a fan I’m honored to welcome him to the label,” states John Janick, Chairman and CEO of Interscope Geffen A&M. The first project under the deal will be a 25th Anniversary edition of Ice Cube’s highly controversial second album. Death Certificate: 25 Anniversary Edition will release on June 9th. The re-release will feature three new songs, “Only One Me,” “Dominate The Weak,” and the sinister lead single, “Good Cop, Bad Cop.” Originally released on October 29, 1991 and produced by OG Cube cohorts, Sir Jinx, and the Boogiemen (DJ Pooh, Bobcat, and Rashad Coes), the incendiary LP, which debuted at #1 on Billboard‘s Top R&B/Hip-Hop Albums chart and sold over five million copies worldwide, takes a potent look at life in South Central through the eyes of one of reality rap’s greatest and grittiest storytellers. Recorded in the wake of the Rodney King beating in 1991, Cube artfully contextualizes the harsh material he delivers on Death Certificate, declaring a “state of emergency” and breaking down the original 20-track opus into two parts. “The Death Side,” he says firmly, is “a mirror image of where we are today” while “The Life Side” represents “a vision of where we need to go.” The album’s revolutionary tone is established with the opening rager, “The Wrong N**** To F*** Wit.” The new material brings equal amounts of fire to the already stellar collection. Rapidly traversing from guns (“Man’s Best Friend”) to gangs (“Colorblind”), Ice Cube leaves no stone unturned, attacking hot-button issues affecting the Black community with the ferocity of a lion. “Black Korea” addresses tensions in the ‘hood after the shooting death of an African-American girl by a Korean grocer; “A Bird in the Hand” laments the lack of gainful employment opportunities for young Black males; “Look Who’s Burnin'” is upfront about the proliferation of sexually transmitted diseases among Black youth. Nevertheless, activist and scholar Angela Davis took the artist to task for his overtly sexist imagery on the songs “Givin’ Up the Nappy Dugout” and “Horny Lil’ Devil.” The Simon Wiesenthal Center, a Jewish human rights organization, publicly denounced Death Certificate, calling the album anti-Semitic for comments on the now infamous diss track, “No Vaseline.” The state of Oregon even went as far as making it illegal for local retailers to promote Ice Cube in any way, shape or form. Death Certificate: 25 Anniversary Edition will be available for pre-order on June 2nd. The bombastic new song, “Only One Me,” will be made available for early download as an instant grat track. 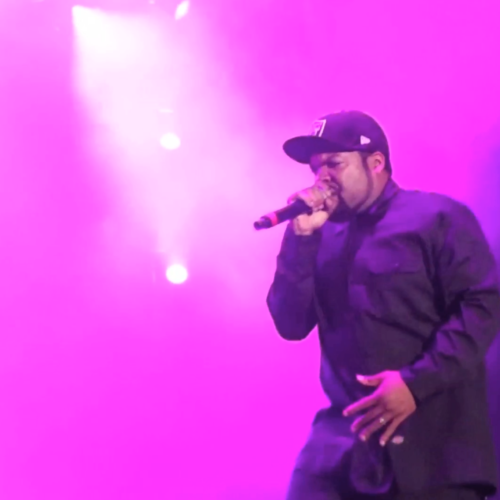 Check the recap from Cube's performance at Bunbury Music Festival in Cincinnati, OH. Check the photo recap of Cube's performance at One Music Fest in Atlanta.